Here is the information from the site about this weeks challenge (the 100 word challenge week 32) .” Following last week’s topical slant and as it is a Leap year, this week the prompt is: …Take a Leap of Faith…. Like, last week, you don’t have to include those words in the piece. If you get to write it before midnight on Feb 29th, you may like to put a reminder for yourself to post it onFeb.29th .net as well. It is set to be the biggest blogging event of the year so don’t miss out on getting involved! You can only post on that day – 29th Feb though! 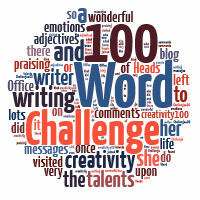 With the ground rules and posting information explained, here is my 100 word challenge entry! Keep in mind—it is fiction!! The managers arrived in Arizona for team building and headed to the barn. Mark and the guides placed odd backpacks upon each of their backs. They rode horses out to a desolate area, and hiked to the southern rim of the Grand Canyon. “Your packs contain hang-gliders; pull the cord to open them. Get a running start. Hold your breath and take a leap of faith. The updrafts will support you as you slowly guide to the bottom. Remember, success takes courage.”….. Mark took a running start, leapt, and disappeared. I ran and…..jumped with courage into my own bright future. This entry was posted in Positive Thinking and tagged 100 word challenge, Courage, education and career. Bookmark the permalink. While I’m scared of heights, and would need plenty of convincing that the backpack would work, I reckon this would be a fantastic adventure. I reckon you’d make a fortune if you developed it for real! oh boy! i wish! i was thinking of a hang glider that would pop out like a parachute does….gulp—would be scared to hang glide, though! Thanks, Debra!!! I can take metaphorical leaps of faith—-but I don’t think I could ever parachute, hang glide or bungee jump!!! Wow! I bet I’d chicken out though. I am pretty sure I would, too!! Thanks, Mary….that means a lot to me. Goodness, that would be a leap of faith if you had never done any hang gliding before. I’m afraid I think I’d be one of the chickens on this run too I’m ashamed to say! My boys wouldn’t though – they’d go for it. Maybe it’s a question of age!! even when i was younger i would have been too scared to: hang glide; parachute; or bungee cord jump. I like to think of it as being sensibly risk-verse! Yikes! That would be scary. Success takes courage–so true! It would take courage—-no way could i hang glide/bungee jump/parachute…..no WAY!